The day of the wedding passes by like the wind, you barely realise it. But the WAIT of the Wedding Day is the time you have the most fun and relish. AJ Films' pre-wedding shoots have turned out to be an opportunity for couples to spend quality time with each other before tying the nuptial knot. It is fun and a sigh of relief to select a unique destination, couture, make up, and theme for the pre-wedding shoot in light of the anxious haste of the wedding day. We believe in making it more interactive by discussing these things with the couple, instead of imposing our own ideas. After all it is their effort to capture their every moment spent together. Having pictures in nothing less than a fairy-tale format is a bonus. Everything has a story to tell and so will your pre-wedding shoots and pre-wedding photography will tell. It's said that a lot can happen over a coffee, a lot truly does. So, AJ Films are here to ensnare your 'a lot' in your way that happened over a coffee for you. Often there are debates on which marriage is better 'arranged or love’. Until today, we have covered a lot of weddings and know exactly how the Panditji conducts the elaborate wedding ritual, but we still haven't been able to figure out which one is better. Both arranged and love marriages have their own strengths and weaknesses. But for the advantage to work in each type of wedding, one has to accept the life-partner as he/she is and that is how a married life becomes serene. Our lovely couple Harshada and Arjun are tying the knot the arranged way, and they have already discovered this golden rule of life. We were amazed to see such chemistry between this couple, which surely has increased our faith in 'Indian Tradition'. And we know you will too. 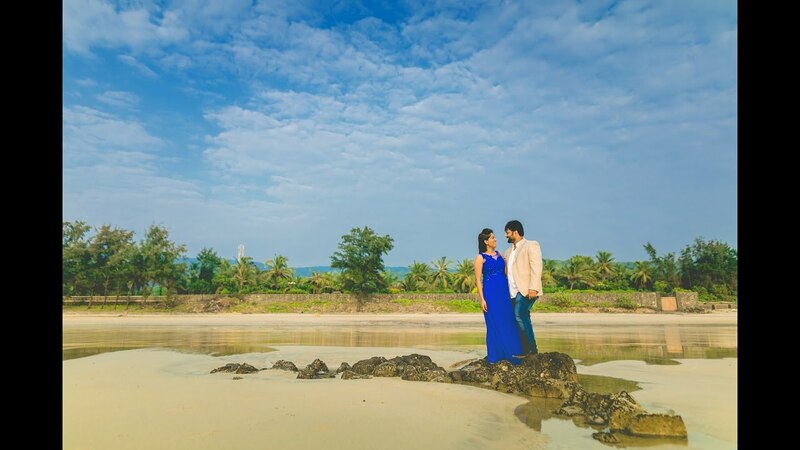 Here we are presenting their pre-wedding film with our wedding photography partner Nachiket Sonawane Photography. We bet you won't be able to figure out if it’s an arranged or a love marriage, just by the chemistry between them. Please watch it and feel free to like, comment or share.